Each year, biomedical engineering students partner with companies and institutions to solve real-world engineering problems through developing prototype medical devices amd research instruments. 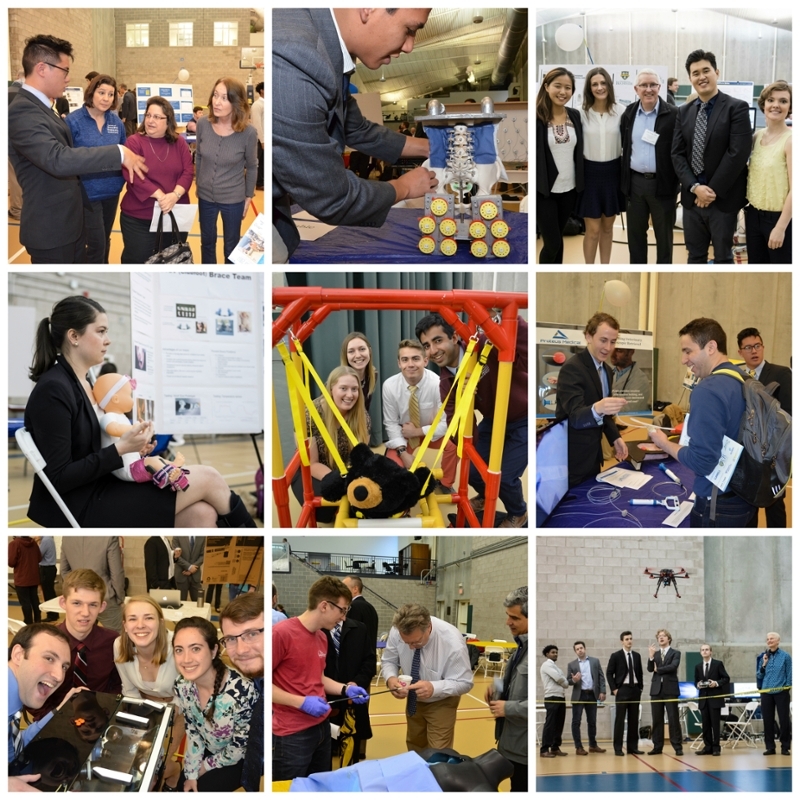 We celebrated the culmination of our students' engineering education at Design Day 2017 when students presented their projects. Both undergraduates and graduate students in the Center for Medical Technology & Innovation participated. We are grateful for our industry partners and collaborators for the opportunity to address these challenges-thanks to everyone who supported our students and made the day possible! For a full list of projects, visit this website. For more information on a specific project, please contact Amy Lerner at amy.lerner@rochester.edu.